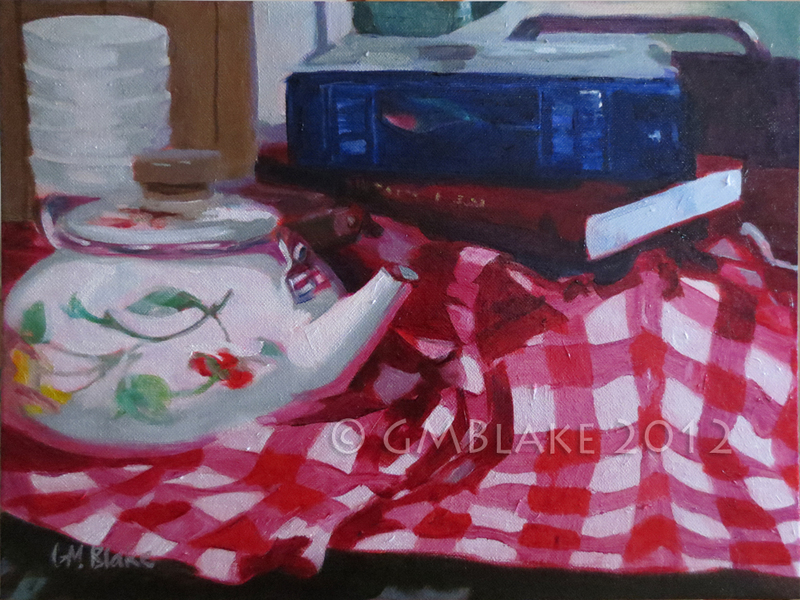 “Flowered Kettle” – oils on canvas, 12 x 16 in. Meanwhile, I’ve been using my new camera to shoot locations around Binghamton for possible use in Unlikely Dance, and this Friday — First Friday Art Walk in Binghamton — I’ll be tagging along on the B.F. Harridans‘ morris dance tour in the arts district, photographing the dancers. Hoping for a little sun, Friday, to match the mostly sunny lighting in my location photographs! 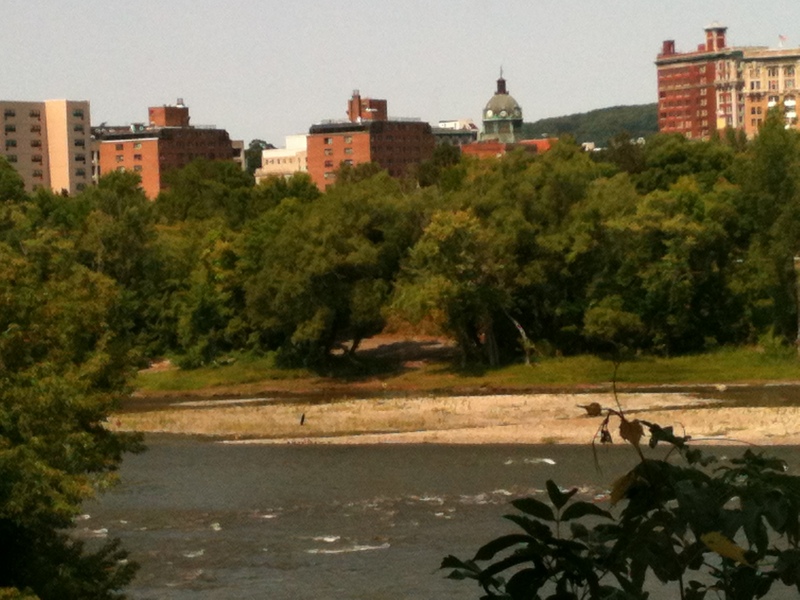 Last Thursday I took a particularly promising shot across the Susquehanna River from the Park Diner. It reminds me of a Corot landscape, only awaiting his dancing nymphs. I’ll rearrange the skyline somewhat, if I do use it, and I do rather wish I’d had the Canon ELPH with me; I had to use my iPhone, and the zoomed photo is a bit fuzzy. Tomorrow morning I’m hanging “Dance Like No One is Watching,” the series precursor to Unlikely Dance, in a local health-food restaurant. Here’s how the series looked, at Tranquil Bar and Bistro last year; there will be changes when I hang it at the new venue. Will post photos of the current show as soon as I can.